Nintendo continues to flood the North American market with new titles; amongst them a few catch-up releases. Flowerworks® and MAGNETIS™ comprise the puzzle contingent on WiiWare this week. We'll be reviewing the former in due course; the latter was reviewed some time ago, so be sure to check that out. 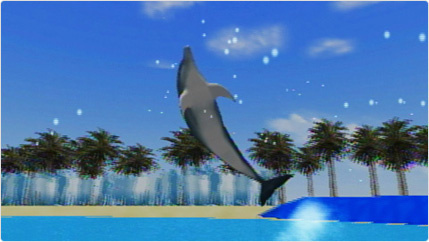 My Dolphin is the localised version of a Japanese release from August called Sea Farm: Dolphin to Watashi no Showtime; complete with downloadable pay-to-play content. We'll be training dolphins to see if this one is worth your time. 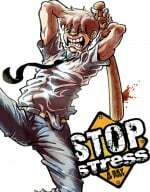 Stop Stress: A Day of Fury marks Abylight's second entry on the service and seems to be all about getting out your frustrations by virtually bashing everthing in the game world - expect a suitably stress-free review soon! Street Fighter Alpha 2 is the latest in a seemingly endless series of Street Fighter games on the Virtual Console. It's interesting that this arcade game - which also appeared on the Sony Playstation and Sega Saturn - was even possible on the old SNES; we'll let you know how successful that translation was in the near future. Shinobi™ is the classic Sega arcade game that's been out in Japan and PAL territories for a while, do check out our review to see what we thought of it. Ball Fighter and Pop Island are brand-new downloads for DSiWare this week; whilst you're waiting for those to get reviewed you can re-read our Army Defender review. Ubisoft are giving their platformer Rayman an outing on the DSi and we'll let you know how the new DSi features mesh with the classic gameplay. Lastly, Nnooo has an alternate colour for their great note-jotting program in the form of myNotebook: Red™. If you need a reminder of our views on this app, you can read our review. Maybe the holiday season has you grinning from ear to ear, or maybe you're already stressing out about choosing the right gifts for everyone on your list. Either way, you'd be wise to take a look at this week's new downloadable games from Nintendo. The latest Nintendo DSiWare™ releases include the original Rayman® - perfect for prolonging your jubilant mood or providing a respite from the season's hustle and bustle. Speaking of stress relief, this week's new WiiWare™ games include Stop Stress: A Day of Fury, which offers a truly unusual way for players to unwind. And Virtual Console™ fans now have two more classic titles to liven up their game libraries: the Super NES™ gem Street Fighter® Alpha 2 and the legendary SEGA arcade title Shinobi. All told, you'll find 11 new games added to the already stellar selection on the Wii™ Shop Channel and Nintendo DSi™ Shop. Whether you're browsing for yourself or a loved one, don't forget that you can also use the Wii Shop Channel to download five free game demos and try before you buy. Description: The legendary first Rayman adventure is now available from the Nintendo DSiWare service. Play as Rayman and try to save his amazing world from the evil Mr. Dark. Discover a charming universe with colorful landscapes and meet funny characters who'll help Rayman through his quest. Experiment with his abilities as you punch, hang or fly in the air and choose between two difficulty levels. Take advantage of new features in the Nintendo DSi version, such as the Nintendo DSi Camera, map selection on the touch screen and the ability to play against time to win bonuses. Description: Ball Fighter is a puzzle game in which you take aim and blast groups of dropping spheres to create matches and clear the board. You can make chains to earn additional points or to make the game more difficult for an opponent. When you destroy spheres in a multiplayer mode, they will be added to the opponent's board, making his or her task more difficult. You can find special bonuses like a Brush, a Rocket Launcher or a Bomb, which can be used to destroy spheres or to paint a line of them with the same color. You'll find a variety of single-player modes, including Arcade, Survival, Brain Breaker and Player vs CPU, plus the unique multiplayer mode, all playable on one Nintendo DSi system. Description: Discover a joyful universe where playing is always a pleasure with Pop Island. Colorful and fun, Pop Island is an action-packed capture-the-flag game. Pick a team to join, then run, jump and spin your way around the island in an attempt to collect the priceless flags hidden throughout it. Become a surfing penguin, a flying fish or a waterskiing crocodile as you go all out for victory, unlocking 12 more joyful animals as you rack up points across eight different planets. You might even end up competing as a skateboarding mammoth. Playing alone is plenty of fun, but the madcap action reaches a new level when your friends get involved. By sharing the demo of the game via DS Download Play, up to seven more people with their own Nintendo DSi systems can use a local wireless connection to join you for some head-to-head or cooperative action. With plenty of power-ups, you'll need to concentrate on capturing more than just the rival team's flag to claim victory. Description: myNotebook allows you to take notes wherever you are. Just pop open your Nintendo DSi system and jot down your thoughts. Make a list and cross it off, or even play your favorite pen-and-paper games (games not included). You can even personalize your notebook by drawing on the cover and changing the paper type with 18 unlockable squared and lined paper styles. Use the pen or pencil to make your notes or doodles, then erase the bits you don't like. With five ink colors, you'll always be able to make your notes and doodles look stylish. Description: MAGNETIS is all about attraction. Connect the magnets to create electric explosions. Solving this frantic puzzle will require quick thinking and foresight. Anticipate connections in order to generate massive chain reactions to win the highest number of points. To get rid of blocks and score points, you must create lines by connecting left and right magnets of the same color by using conductor blocks. The longer the line, the more points you'll get. Team up with as many as three friends in cooperative mode or play against them in battle mode and compete for the highest score. Description: Jack's dreams have become a nightmare, and only you can help him to get out. Climb into the skin of the most stressed-out man in the world, grab the baseball bat and prepare to let off more steam than ever before. Destroy everything around you, beat a path through traffic or at the office, and face off against incredible hallucinations. How far will a day of fury take you? Description: While our heroine Follie is traveling to meet her auntie with a cargo of mystical Flowerworks seeds, her ship is pulled off course and crash-lands in a particularly dull area of the planet Elilia. Explore with Follie and help her recover her seeds to transform the world from drab to fab. You'll encounter strange inhabitants, some of whom will help Follie in her quest. Others, such as naughty garden gnomes, will hinder it. Flowerworks is a single-player adventure which combines blooming flowers, colorful fireworks, exploration and a whole lot of fun. The game will have the whole family immersed in no time, but be warned: Becoming a Flowerworks master is not for the faint of heart. Flowerworks includes Adventure, FreePlay and Tutorial game modes, with three difficulty settings in a 20-hour adventure. Description: Street Fighter Alpha 2 explodes with lightning-fast game play and amazing innovations. Quick Move Reversals, Alpha Counters and the incredible Custom Combo System create a new standard for all games to fight by. Push your talents to the limit as you discover new hidden moves and reversals for every character. Neutralize opponents' attacks with high and low Alpha Counters and execute incredible Custom Combos to create your own rapid-fire assaults. All your favorite warriors are back for more. Previously hidden characters Dan, Akuma and Bison are joined by five new fighters: Rolento, Gen and Sakura, plus classic favorites Dhalsim and Zangief. Description: Here's a bit of helpful advice to all you criminal organizations out there: If you're going to hatch an elaborate plot that involves kidnapping children, don't kidnap children who have ninjas for parents. That was the big mistake that a group called Zeed made when it went after the offspring of the Oboro clan. Now Joe Musashi is on the hunt to rescue the young hostages and take out Zeed's leaders, the Ring of Five. As you scour each stage, leave no children behind - Joe can't proceed to the next level without freeing them all. With an unlimited supply of shuriken, his sharpened katana and his deadly fists and feet, Joe will show Zeed why you don't mess with family. I think my sister would love My Dolphin, I'm interested in Stop Stress (if the reviews are good and it reaches Europe). Not sure about Flowerworks. And I'm curious about Street Fighter Alpha 2. I demand that every American download Shinobi today! It seems weird that nintendo would have an entire game to play on DSiware (Rayman), unlike other titles, like Master of illusion, where it's only a small piece of the actual game. Do you'll think the website will provide other reviews for apps like my notebook red or green? Another good update for the VC. I may pick up Army Defender and Shinobi. I'm also interested to see how Ball Fighter turns out when it gets reviewed. Blaster Master next week please! Jacob: Ubisoft throws Rayman at EVERYTHING (I've got the original PC version and the Anniversary edition for the GBA that also came with one of the later GBA RM games) so it's not surprising. @Dazza: It's tempting, but i'll have to do it later. I love the original Rayman and it's nice that Street Fighter Alpha 2 finally got released, a bit disappointed that it's not the arcade version but was happy that the Shinobi game was. I had the GBA version too, KDR_11K, but most re-copies of games on DSiware are "Express" or "A little bit of..." (Puzzle league Express, I'm talkin' to you! ), and for Nintendo to have an actual, entire copy of a game (Excluding Paper chase and the other WarioWare game [I forget the name] ) is kinda rare, right? I'm excited for Pop Island, and I can't wait for the review. Shinobi = good release week. wait so they can fit whole games like brain age and electroplakton onto DSIware. I hope someone ask's about this in the next interview with someone from ninty. Flowerworks is going to be like Bonsai Barber.....a game that you love to play but would never admit to your freinds you have it. Shinobi is awesome. Too bad I already have a cheaper, better version from XBLA. Street Fighter Alpha 2 is also pretty nice, even if it is gimped. So I guess I agree with the fox. Great update. Add Shinobi to my super long to-download list. Interested in Rayman. What system was that originally on? Could this remake appearing on DSiWare mean there's no hope for a Virtual Handheld? What system was that originally on? Is it just me or is Nintendo Download becoming truly awesome lately? Where or where is UNO? I know a bunch of us are waiting to drop 500 points on it. How come it is released everywhere else except the US? Now THIS is an awesome update! I'm certainly intrested in Rayman, Army Defenders, and Street Fighter Alpha 2. I wonder if the vc of sfa2 will have the same slowdown that plagued the snes cart. @Bass XO: it was more of a 64-bit system than the PC Engine was a 16-bit one -- so there! The trailer for Stop Stress was lolworthy, and the one for My Dolphin... actually made it look fun. I'm starting to think Cave Story doesn't exist. It is really cool that we finally got Shinobi and Street Fighter Alpha 2 this week but I'll probably just get the ones that are already available on the Xbox 360 and PS3 since they are less expensive than the VC versions. Nothing interests me on WiiWare this week but DSiWare looks pretty decent. My wait for Blaster Master, Cave Story, Castlevania: Rebirth and Reflect Missile continues. Also, I hope this means Rayman 2 for the VC. I would so get SF Aplha 2 if I didn't have it already for the PS2. I might pickup Army Defender, but I just got an error in the Shop Channel so I shall try it later. If Rayman is the first original game I am so there, as I can't find my PC version of it and a good 2D adventure game on the go is always good! I think we've had enough Street Fighter for a while But other than that, very nice update. Alpha 2 for SNES was pretty disappointing for me, the graphics are simplified in a way that makes it look worse than the regular SFII titles. Ports for PS, Satirn and PS2 are way better. Wow! I played and solved Rayman on the Atari Jaguar. I don't think I need to do that again. I like my fighters well polished, so I'll probably at least wait for the beta. but seriously, folks, I'll be grabbing it for some Akuma fun. Large, decent download here. We have the interesting StopStress as well as continuing the 2 VC a week, something we can all appreciate. I also think its neat that Rayman has a DSi port. Wow, very very nice, I'm pulled on what to get. I really want Rayman. Is it a remake? I might get points and download that and either Pop Island or myNotebook. HOORAY FOR STREET FIGHTER ALPHA 2! Like LEGEND MARIOID I am interested in Rayman, Ball fighter and Flowerworks. Will look forward to the reviews. Bah! Rayman's just a remake of the original. I was hoping for something new, or at least a remake of 2, to be honest. And as for Rayman, I'll just stick with my PSX copy. Otherwise, good update. And more Street Fighting goodness. What a coincidence that SFA2 was released shortly after I discovered its page on IGN. Have they run out of Street Fighter games yet? They still have SSF2 Genesis and the arcade versions of all the Street Fighters "Excluding 3, obviously." But SFA2 on the VC means that Super FX Support on the VC is nearer than it seems! "SFA2 used a special graphics chip." Can't wait to download Street Fighter Alpha 2 and Pop Island. @SuperDude: If they can get Super FX games, that'd be great. They can start with Yoshi's Island, since it almost failed to exploit the SFX's capability (save for the title screen). I thought Yoshi's Island had the Super FX2 chip. Anyway, it's still a good game. But, why not start with the original Super FX chip games, like StarFox/StarWing? I'm not arguing or anything, just curious. "They can start with Yoshi's Island, since it almost failed to exploit the SFX's capability (save for the title screen)." What you talkin' 'bout? That game used the hell out of the FX 2 chip at just about every moment of gameplay. All the sprite rotation, scaling, and transforming -- which gave the entire game its distinctive style of animation -- was simply not possible on the core SNES hardware. Those are the techniques which later came to be characteristic of Flash animation, but were a far cry from anything preceding the game on the Super Nintendo. I agree with wariosmaildelivery. Yoshi's Island was a very visually impressive game for the SNES, and it's still fun to this day. All the bosses used the SFX2 chip, and they are still impressive to this day. Yoshi's Island FTW!!! Super FX2 chip FTW!!! Awesome update! I'm so mad I was 100 points short for Rayman, since I LOVED the psone version, but Army Defender is great, and I'm considering Pop Island. I'd buy myNotebook Red, but I didn't fill up my Blue one yet. Wow, ever since Halloween, Dsiware is getting very awesome!!! Anyways, I'll probably end up getting Shinobi on XBLA but glad to see it's finally out in NA. And in other news, the wait for Cave Story and Castlevania Rebirth drags on. Soon this will have more comments then japan and europe, 5th week in a row since I started noticing. Im surprised no one mentioned the 150 wiiware milestone, what game was that? Also, why are people expecting Castlevania Rebirth wiiware to be release so soon, japan got it in october either close to halloween or halloween day. Didn't Contra Rebirth take about five months after being in japan to be released in Na? We will probely see it released in Febuary or March Q1 based on speculation. Magnetis seems to be the only good release for me this week. I hope Rayman is not based on the inferior GBA version, although it feels likely, since it probably would be easier to port. The size limit of DSiWare games shouldn't be a problem anyway, since the original Jaguar version is less then 4mb! Decent week. Nothing I'd buy, though. Rayman! Oooh, you guys got lucky. I am trying to limit what I buy on my DSi, but I just may spring for Rayman sometime before Christmas. Such a great platformer! Is it already Xmas ? 2 long awaited VC Games for me today - Great update ! This is another great week. I will be getting two Nintendo Point Cards now along with Tiger Wood PGA Tour '10 for Christmas. Great week. I'll have to save up for some points now. I think FlowerWorks is the 150th WiiWare game, it's really the only one that seems any good and the Stress Reducing game doesn't really seem like a milestone to me. And with Rayman, we are a step closeer to VC on DSi. Meh, it is an allright update, but that Rayman remake for DSi sounds very interesting, I even have Rayman on my PS1. will download rayman and street fighter alpha 2, which means i need point cards, street fighter alpha 2 is good and all but the in-round load times is a bummer though. i`m curious to know why capcom aren`t supporting the VCA with their SF games. i would happily pay the usual extra 100 points on top for the better version. well, atleast it`s a step in the right direction. December 28, 2009: Sonic & Knuckles and [i}Earthworm Jim2[/i]. Nice huge update. I'm glad the two VC regime continues, Shinobi looks good, shame I tried Shinobi III and is not my cup of tea; already have the PS1 SFA2. I had been waiting for Magnetis, I may get it soon, if nothing better comes out. I'd love to consider more DLs, but I'm poor and DSiless . and i still wait for the Castlevania Adventure: Rebirth to make it to North America, still haven't downloaded a single WiiWare game as of yet..
great week for mega Street Fighter fans indeed.I will wait tho.I can wait for SSB and go from there after that. I doubt S&K and FFII is coming out this year but will be glad to be proven wrong. I expect one or two of Shanhai II, Earthworm Jim 2 or Blaster Master next week. Pilotwings may get released on the 21st alongside Smash Bros.
i hope SFA2 doesn´t has the ugly long loading times in "fight!" screen. Yes, but this summer saw North America get dismal update after dismal update while Europe got decent updates. NOA delivers the goods again. Nice job. Capcom has really been going nuts with the Street Fighter releases. Guess they're trying to wrap the series up. Hopefully they'll put out some more Mega Man now. Wait wait, hold up... This is the SNES version right? Lightning fast game play? Considering it's one of the few cartridge games in existence to have load times, that statement couldn't be more wrong! Fight happens, then at final blow. I have been waiting to do this for SO long, so here it is. Went to value village, bought an N64 for 5 bucks, and Super Smash Bros for 6. IN YOUR FACE WHINERS. wait, what? bought a sonic and knuckles cart for 9? hmmm...seems like some people here need to get lives, or get off their whiney butts and scour used shops. IN YOUR FACE. Wow... SSB is worth more than the console to play it on? That's mind boggling to say the least. 1. Have you seen the enormous list of games we have to catch up on u guys. Some games are unlikely to be released over here too! 2. We were promised so many games by the end of the year on that infamous list; most of them have not arrived. You have to be an EU-ite to understand friend. Anyway, great update for you guys and I look 4wd to the revws! Anybody played the Rayman download yet? For somebody that never played the original...is it a worthy enough port? Or should I just find the original for PS1? does anyone know when they are releasing ,pro wrestling,,popeye arcade and michael jacksons moonwalker? Yeah. I've got both an N64 and SSB already so it doesn't make a difference if it comes out on VC or not, but you've presented a great example there to all these whiners. @GooniesFan: Popeye and Moonwalker will take awhile to release, especially anything Michael Jackson. Pro Wrestling has a decent chance, but don't count on Michael Jackson any time soon. @Ganondwarf. It's a remake of the original Rayman game. Good to see the original Shinobi though, and a release of Street Fighter that's not Street Fighter II. so not just anything like the ps1 rayman it IS the ps1 rayman? instant buy! Whether or not its the PS1 Rayman, it's good to see them caring about something in the Rayman series other than those @#$%ing Rabbids. Maybe we can go back to him having his own games now. Well, hopefully it's like the Jaguar version of Rayman; I believe that one was supposed to have had the better graphics, no? Huh, not a bad update really. The VC isn't spectacular but it's pretty good, and if I had a DSi I'd totally look into Rayman. Wait, so I can't say I got the 100th post? Ahh come on...it's not like my comment was totally useless...Just having a little fun. Ah well, carry on. "seems like some people here need to get lives, or get off their whiney butts and scour used shops." It's OK guys, you only have to be outside for a few seconds to get from the car to the store. I am willing to bet that the vast majority on here actually do have quite a few used games from stores? That's genreally the case with wii and ds gamers in the modern world isn't it? It would appear "some people" are not in touch with the real gaming world out there eh. Why counter a whine with a whine too eh?! starfox......im really surprised it would take so long to release popeye..it was made by nintendo..i have the tabletop version..but its different from the arcade game..pro wrestling should have been out by now..i see data east is releasing a wii game in january of some of there arcade games..they should have kung fu master and ring king come out..i dont get why midway doesnt come out with some of their arcade games like wwf wrestlefest or paperboy for the wii..is it really that hard to emulate arcade games on to home game systems? 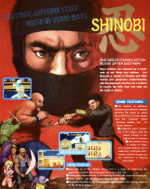 does anyone know of any more arcade games coming to the shop channel in 2010?................did anyone download the arcade shinobi? and was it worth it? been while since i played it..
@smaman actually that's a common misconception about the playstation, psx games do not 'load' the game then simply play cd audio tracks during game play. they stream a compressed combination of music/data, CDXA I think it's called for fmv's, in game music is simply compressed samples loaded into memory. There aren't any actual 'cd audio' tracks on psx discs. This is why I wish more gamers had experienced 'true' cd audio consoles like the SegaCD and Saturn. Final Fight CD on the SegaCD is AWESOME with its full redbook audio soundtrack, and Radiant Silvergun on the Saturn is equally amazing sounding with full redbook orchestral music. It's part of the reason psx games would have 'skipping' problems during fmv's because they were directly streamed, rather than 'buffered' like other consoles. @smaman my apologies, I did some further research, and it appears that some playstation games that didn't involve lengthy loading times would play redbook cd audio while the game was playing. Only a handful did. But because the playstation was the first home console powerful enough to offer 16bit sampling and high bandwith compressed audio, most psx games used compressed samples that could be streamed alongside game data rather than 'pause' cd audio to access data tracks. Because the psx could offer such high quality compressed audio, the game you are referring to could 'sound' like red book audio when other game sounds were going on. With that being said, I do still prefer some segacd or saturn games that played full redbook audio in all its glory while playing games, it's different for sure. Some will argue over the SNES sound since it also offered sample based over all 8 channels, but it topped out at a 32khz sampling rate, which isn't close to cd quality. The psx could do 44khz which made its audio much closer to cd quality.